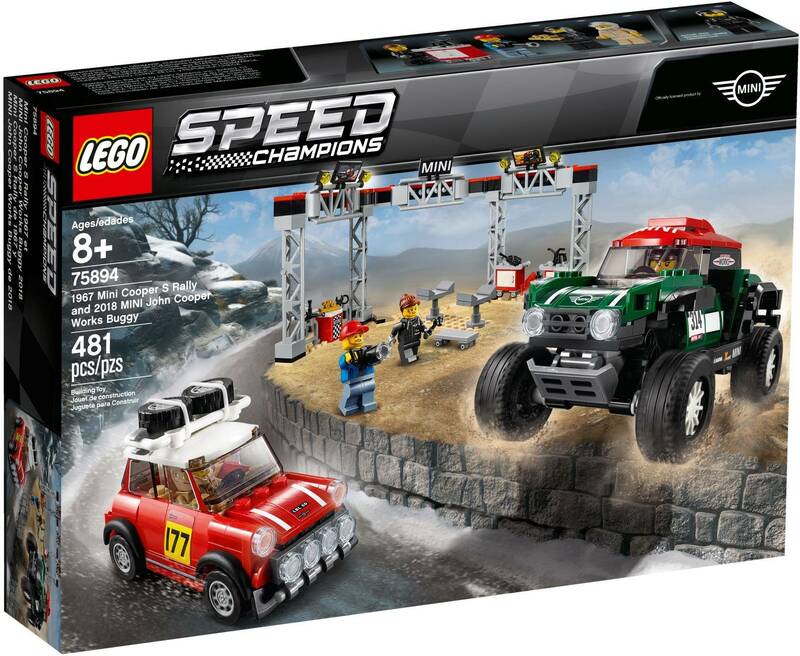 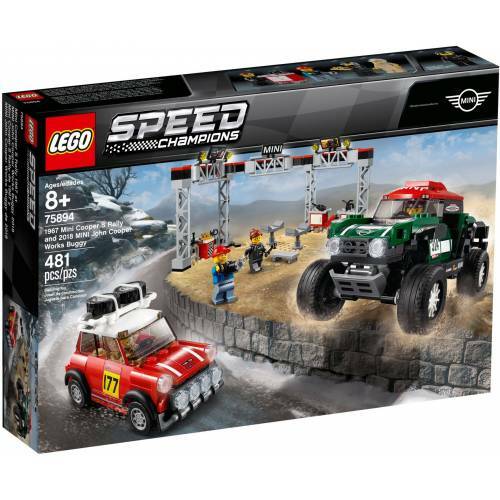 Stage a classic vs. modern rally race with this cool LEGO Speed Champions 75894 1967 Mini Cooper S Rally and 2018 MINI John Cooper Works Buggy toy car playset! 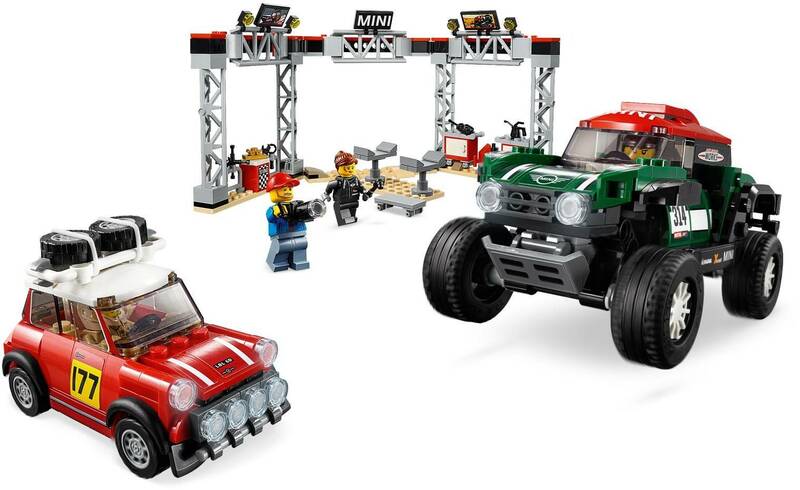 The 1967 Mini Cooper S Rally features a roof rack with 2 spare tires (just like the original car), while the 2018 MINI John Cooper Works Buggy has suspension to drive over rough terrain. 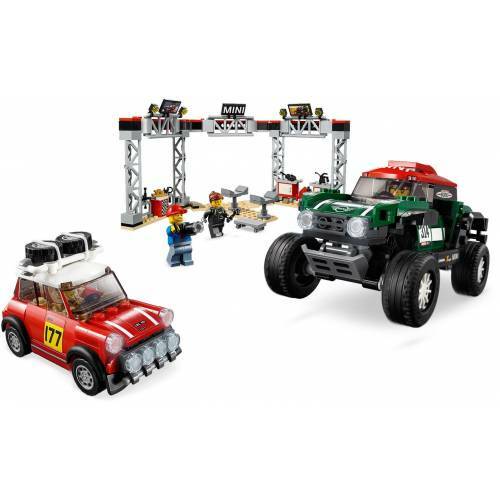 Play out the best rally car racing scenarios with 4 LEGO minifigures and a fully equipped pit stop station, including a buildable car jack stand, a mechanic’s creeper, tool racks, assorted tools and computer screen elements.